Brave quest travel the magical world with your team of legendary heroes and mythical creatures. Fight many enemies. 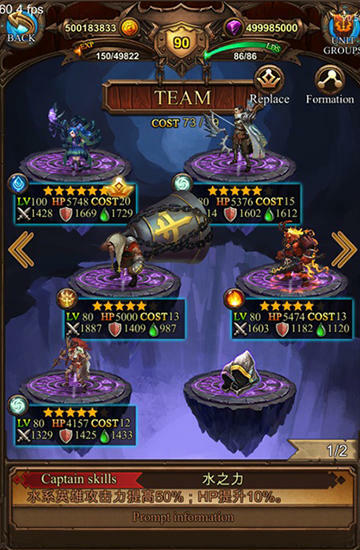 Prevent the apocalypse in the fantasy world of this game for Android. Fight the forces of evil and stop the army of demons. Explore a variety of locations and find hidden treasure. Fight monsters and powerful bosses. Defeat them and collect loot. Buy or craft a variety of weapons and equipment for your characters. Test your characters in arena battles. Required Android 2.3 and higher. © 2019 Games Blog – Looif. All rights reserved.